Nice article about Red Devil Raceway in the Seattle Times. 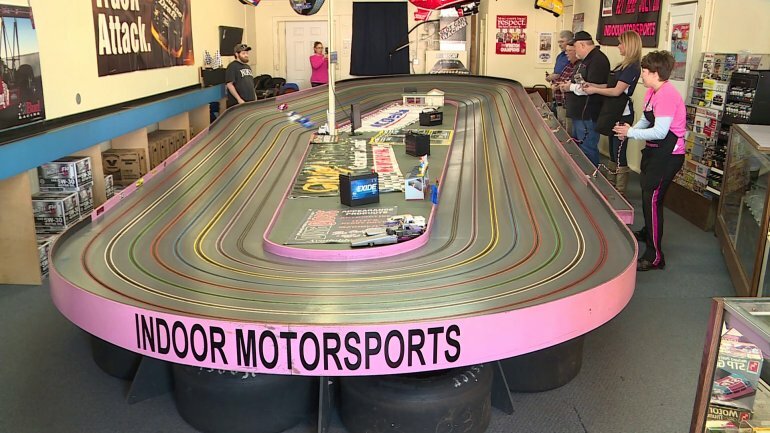 At local tracks, baby boomers and millennials can gather to duel with slot cars. It’s rare to find a hobby that retired folks and video-game kids enjoy equally. But at Red Devil Raceway on Lake City Way, gray-haired baby boomers and long-haired millennials gather to duel with slot cars. Slot-car racing pits miniature cars, trucks and even go-karts against each other on a grooved electric track. A small metal tab at the front of a vehicle fits into the lanes and picks up electric current to power the vehicles down the track. Racers enjoy timed lapping tournaments, which can make use of the hand-eye coordination mastered by years of Xbox playing, and the driving wisdom of someone who has been behind the wheel for decades. 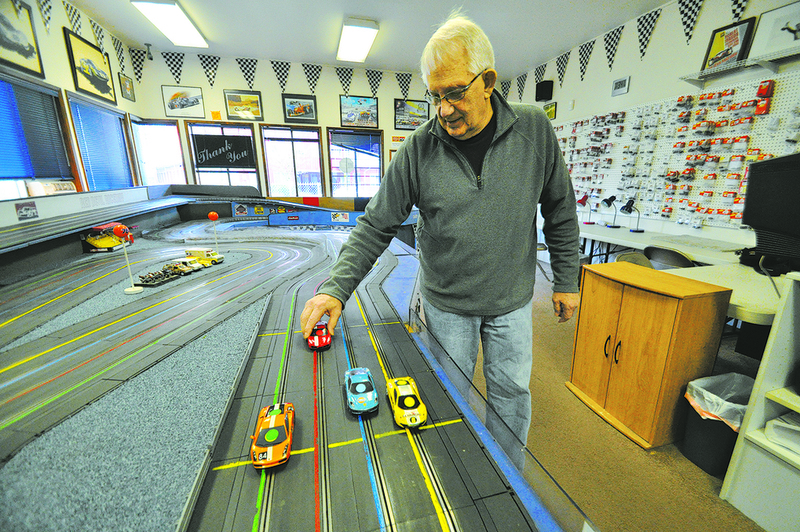 “Kids with computer-game skills translate well into this hobby,” says Gerry Brott, who operates Red Devil Raceway. His store has two public tracks; each races four cars at a time. One is about the length and width of a single-car garage, and the other is a smaller version that can be disassembled and transported to fairs and private events. At Red Devil, good-natured battles are fought amidst the high-pitched colorful blurs of cars zooming by. Slot cars move fast — a top track speed at Red Devil clocked at 45 mph. Slots of Fun Speedway brings back nostalgia, slot car racing to Hanover Did you know, Dallas: Dallas Slot Cars Slot Cars in new Music Video by Jaust – “We Need a New Life” City’s Last Remaining Slot Car Track Still Buzzing in Brooklyn 9 Year old girl races slot cars while raising awareness for her rare disorder. 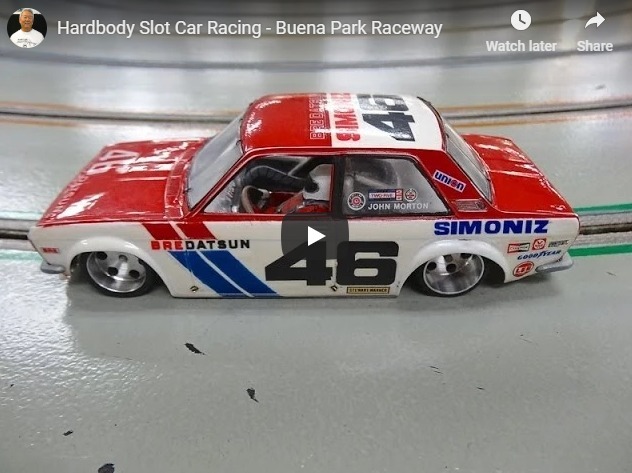 Keeping Slot Car Racing Alive in NYC Hardbody Slot Car Racing – Buena Park Raceway Slot Car Racing Rules Welcome to the all new Old Weird Herald web site! What is a Slot Car?